Amazon needs some extra help to sort all those boxes. Amazon is boosting the number of extra helpers it relies on to put gifts under the Christmas tree. The company said Thursday it will hire 80,000 seasonal employees this year, up from 70,000 last year. Two years ago, it hired only 50,000. 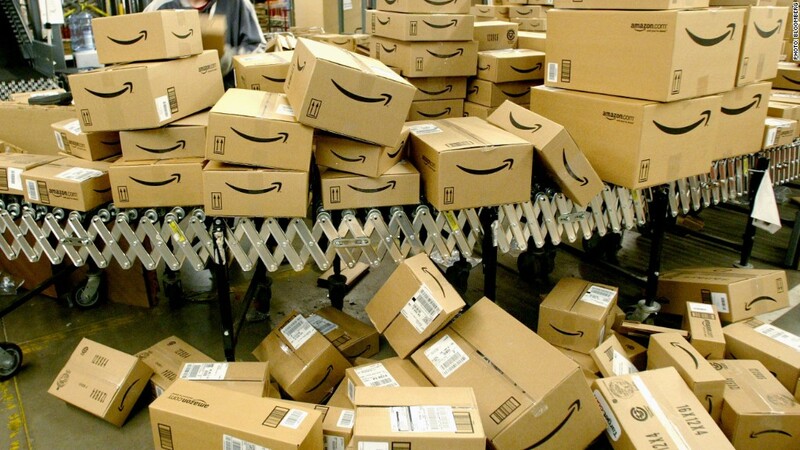 The extra hands will work in the Amazon (AMZN) network of fulfillment and sorting centers, where employees locate, pack and ship millions of orders. Experts are predicting a significant uptick in online shopping this season. The National Retail Federation's holiday forecast calls for online sales in November and December to be between 8% and 11% more than last year. Last year, Amazon guaranteed delivery by Christmas on some orders placed as late as Dec. 23 -- the day before Christmas Eve. But some weren't delivered. UPS (UPS) and Amazon apologized for the snafu. Since then, Amazon has expanded its network of fulfillment and sorting centers. The expansion, plus a contract with the Postal Service for Sunday deliveries, will allow "later cut-off ordering times for customers," Amazon said. The seasonal jobs so far posted to its recruitment site show wages ranging from $10 to $11.50. The company has said the average wage for regular, full-time fulfillment center workers is about $12. Last year, it hired about 10,000 of the seasonal employees to full-time positions, and says it hopes to hire back "thousands" this year.